If you have any questions about the SECOND LOVE information page below please contact us. Launched in 2013, motor yacht Second Love is a Hargrave 101' Raised Pilothouse vessel, constructed by the prominent US shipyard, Hargrave Custom Yachts. The all-white superyacht Second Love boasts a full custom interior, designed by Yacht Interiors by Shelley. 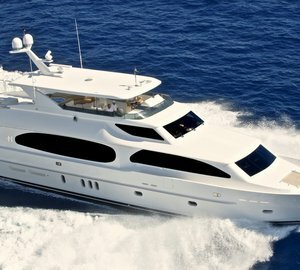 Hargrave 101' RPH tri-deck yacht Second Love can easily accommodate up to 9 guests in 4 lovely cabins. The three guest cabins, including a completely private VIP suite, as well as a full beam master suite, are all positioned on the lower deck. Moreover, Second Love is fitted with the popular country kitchen layout and offers a spacious sun deck, that is covered by a more-than-generous hard-top. Service aboard is ensured by an impeccable crew of 5. 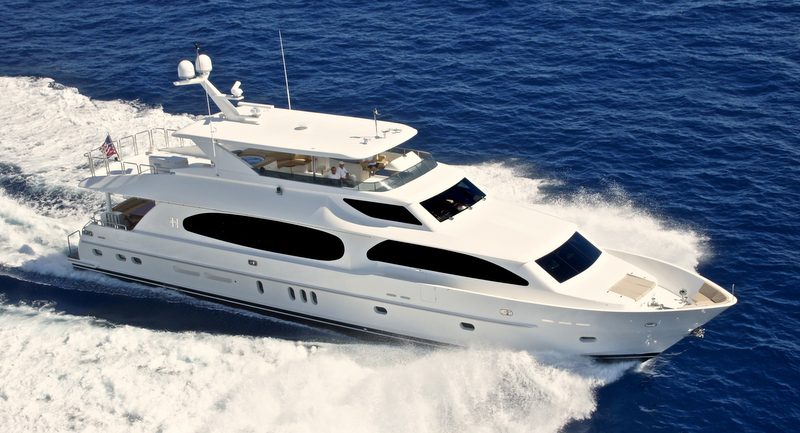 Luxury yacht Second Love is run by twin dependable Cat C-32 1700 hp diesel engines, giving her a 24-knot performance. Her beam is of 6,40m (21') and her draft is of 1,52m (5'8''). Second Love yacht can comfortably sleep up to 9 guests. There are 4 magnificent cabins, including a full beam master suite, as well as 3 guest cabins. Service aboard this amazing vessel is ensured by a professional crew of 5. We do have available further amenity, owner and price information for the 30.78m (101') yacht SECOND LOVE, so please enquire for more information. The luxury yacht SECOND LOVE displayed on this page is merely informational and she is not necessarily available for yacht charter or for sale, nor is she represented or marketed in anyway by CharterWorld. This web page and the superyacht information contained herein is not contractual. All yacht specifications and informations are displayed in good faith but CharterWorld does not warrant or assume any legal liability or responsibility for the current accuracy, completeness, validity, or usefulness of any superyacht information and/or images displayed. All boat information is subject to change without prior notice and may not be current.